'T' Plumbing & Heating Ltd offer a comprehensive boiler repair and installation service. 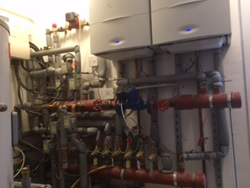 We work with many leading brands of boiler manufacturers including Potterton, Worcester Bosch, Glowworm and Vaillant and will advise you on the most suitable size and type of boiler for your needs and for economy. In addition, as members of the Worcester Accredited Installer scheme, we can exclusively offer our clients 5, 7 and even 10 year warranties on their boiler installations. 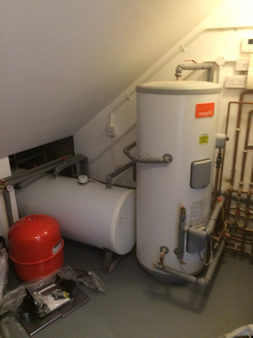 We can undertake a simple boiler replacement or install a complete central heating system from scratch. Our estimator, Tony, will be able to advise on the appropriate size, number and placement of radiators and discuss styles available with you. Our Kamco power flush system is an extremely useful way of maintaining or enhancing efficiency of your central heating system. We generally recommend this when adding a new boiler or additional radiators and pipe work to existing central heating systems in order to flush through any build up of sludge that will affect performance of the entire system.